It has been a while, but the Buddy Committee is back with its third buddy activity! 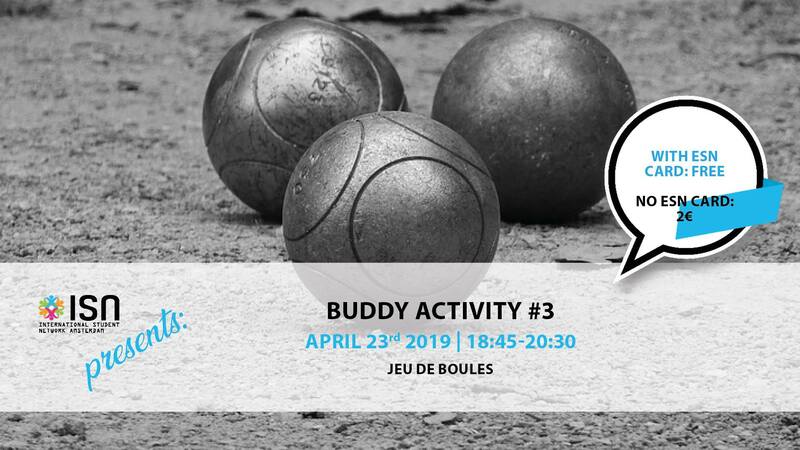 Grab your buddies and come play jeu de boules while eating some delicious snacks! And why not try Ricard at the bar as well.. If you do not have an ESN Card and you want to attend this activity it’s €2. You can come by our office (CREA room 1.15) on Monday, Wednesday or Friday between 13:00 and 17:00 to get your ticket! You can also buy a ticket online here: https://eventix.shop/mxzgg8s9. As always, if none of your buddies want to or can go, you can still come!